From doctors to engineers and funeral directors to pilots, eLearning is transforming how people learn across industries. As a result, it is not surprisingly that it is now also possible to become an expert mixologist with eLearning. 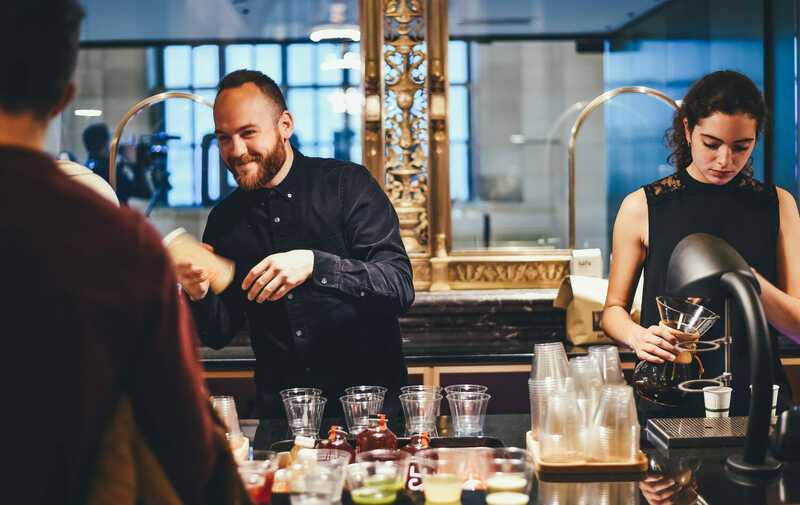 Mixing a great drink may not appear to require a lot of knowledge or talent, but with mixologists on the rise (if you don’t know, these are star bartenders who can mix anything, including fancy “bespoke” cocktails with obscure organic ingredients), the bar for bartenders continues to rise. The American Bartenders School puts it this way: “Mixology is a term used to describe the art of mixing cocktail drink recipes…A mixologist is a person who mixes and invents cocktail drinks.” But they add, “All mixologist are bartenders, but not all bartenders are mixologists.” In a sense, putting “mixologist” behind your name in the service industry is like acquiring a PhD in higher education. Mixologists are specialists not generalists and always looking to invent the next new great mixed drink, and this requires at least some special training. In early August, Innovative Marketing Solutions, which provides online courses for staff in the service industry, launched LIQUID-U. The all-in-one online academy will covers spirits, wine and beer basics and focus on introducing leaners to different products, definitions, ingredients, and labeling standards. Restaurant and catering business owners can adopt the LIQUID-U platform to help their employees gain insight into what makes each style of spirit, wine or beer unique and acquire the language needed to talk to customers about these products in a knowledgeable manner. A combination of custom audio, videos and learning exercises are used to scale up service staff members’ training. But LIQUID-U is not the only online bartending school on the market nor the most specialized.